Note: Page last updated 1/18/2019. Career and technical education (CTE) has become a major pillar of the American education system over the past several years. Previously called vocational education or vo-tech, CTE provides students with real-world skills that they need to enter the workforce in 16 different industries. But there’s one big question about CTE that’s hard to answer — does it actually work? On this page, you’ll see conclusive evidence that CTE is a nationwide phenomenon that does everything from increasing high school graduation rates to boosting the overall US economy. Just like our products and website, we’ll keep this page up-to-date at all time with the freshest facts on CTE. 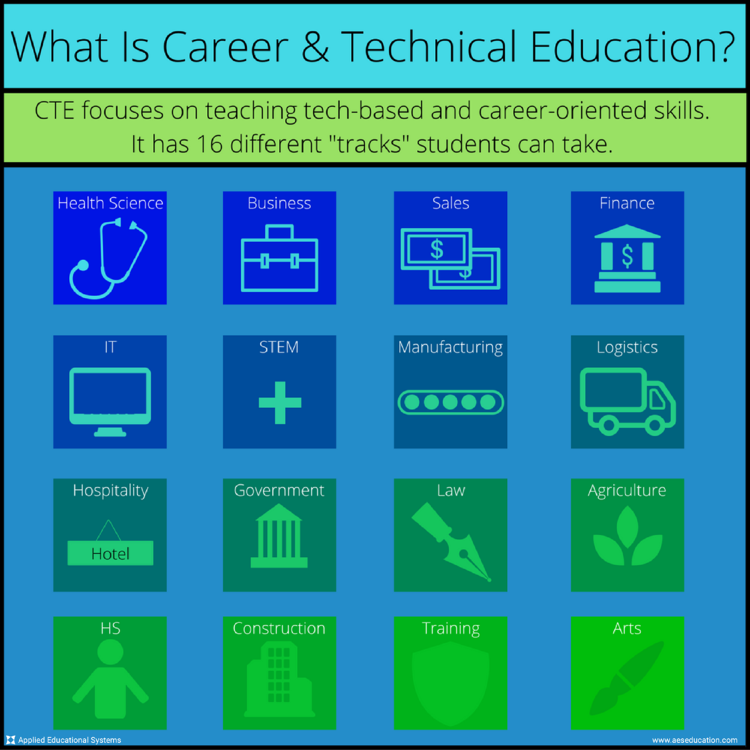 For reference, CTE includes 16 career clusters (also known as “tracks”). Let’s start with an eagle-eye view of CTE in general before jumping into each career cluster. Student interest in CTE is increasing by the day, and education is responding. With more students, more institutions, and more opportunities on the horizon, it’s never been more important for CTE instructors to bring the future into their classroom. That means using technology — specifically, digital curriculum. Digital curriculum streamlines some of the most stressful parts of a teacher’s job — like planning and grading — so they can focus more on their students. The results so far are nothing short of astounding. Want to learn more about digital curriculum? You can check out the basics for yourself!